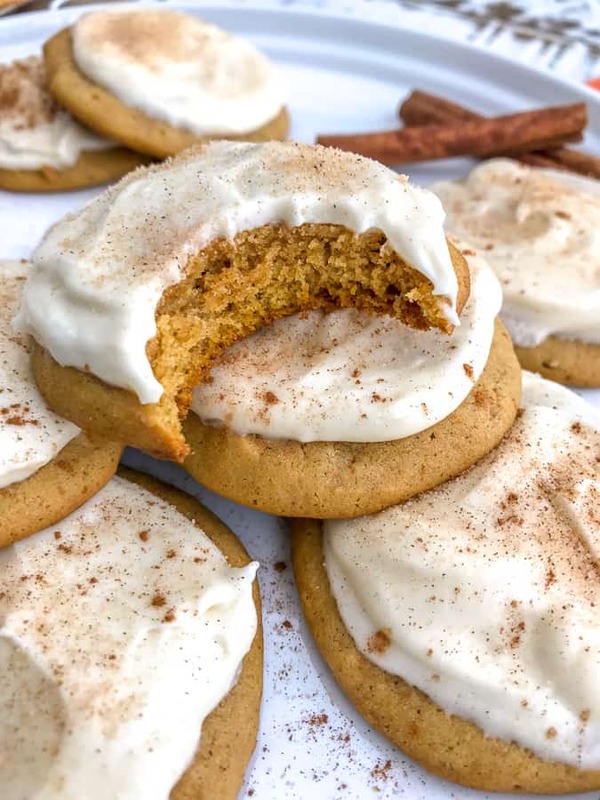 Pumpkin Cake Cookies – When cake meets cookie – you get soft, fluffy and chewy cake-like cookies that are incredibly decadent and full of pumpkin flavor. 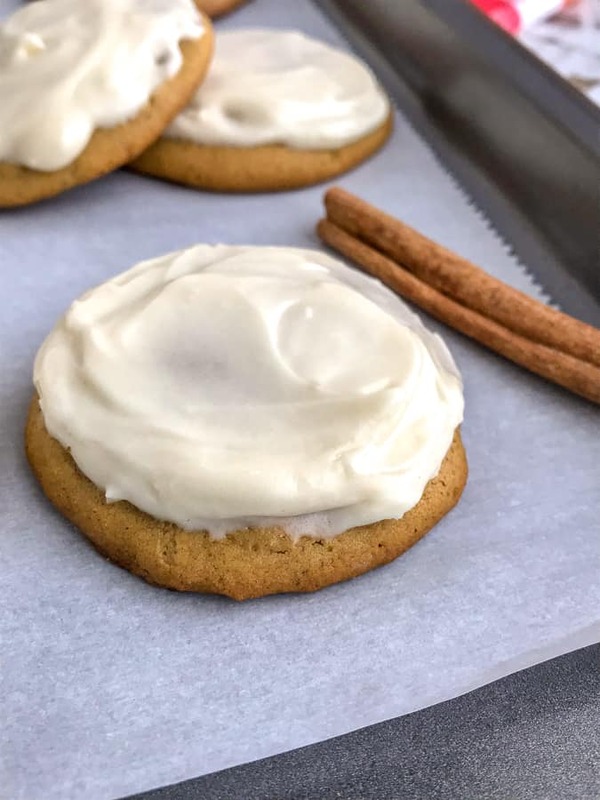 Topped with a homemade Cream Cheese Frosting and a sprinkle of cinnamon sugar, these cookies are guaranteed to melt in your mouth. So delicious, they will have you reaching for a second or third! Only 125 calories per cookie! 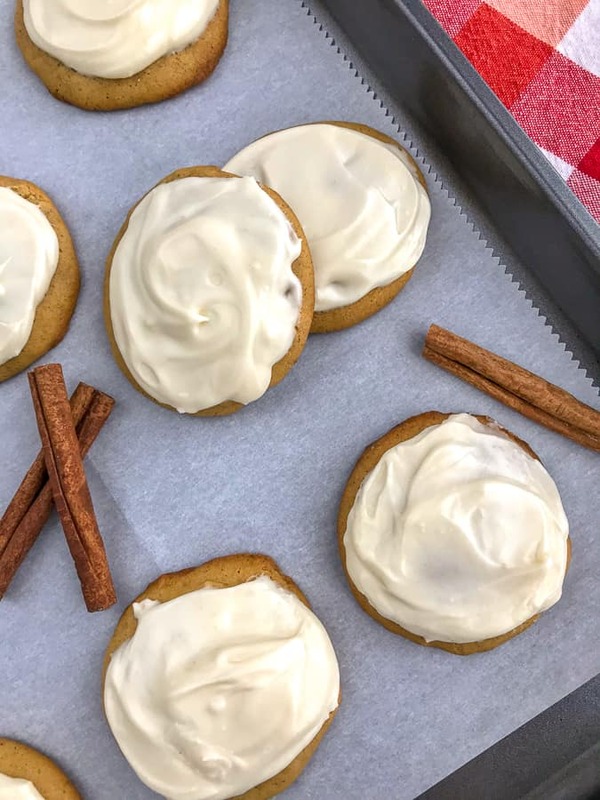 These cookies are an absolute must to make this season! If you’re a fan of cake-like cookies, then these cookies are for you. These have that soft, fluffy, yet chewy texture and are undeniably good. 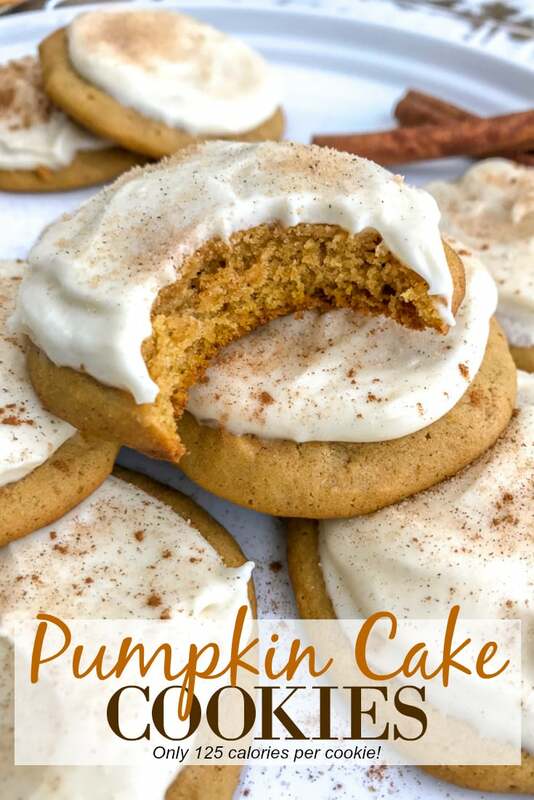 These Pumpkin Cake Cookies come together so easily and so quickly, you will be devouring in no time. Preheat oven and line two baking sheets with parchment paper – don’t butter, oil or use spray. This will cause them to spread more than they should. Whip the butter with the sugar, egg, spices, and pumpkin puree. Slowly combine the flour with the wet ingredients. Using a 2-tablespoon scoop or melon baller (this is what I like to use), scoop and release the dough onto the prepared baking sheets, leaving 2 inches between each cookie. Bake 10-12 minute, or until they are cooked through. The cookie should spring back/feel slightly firm to the touch. The edges will start to brown and crisp slightly. Allow them to cool on wire racks for 10-15 minutes prior to frosting. 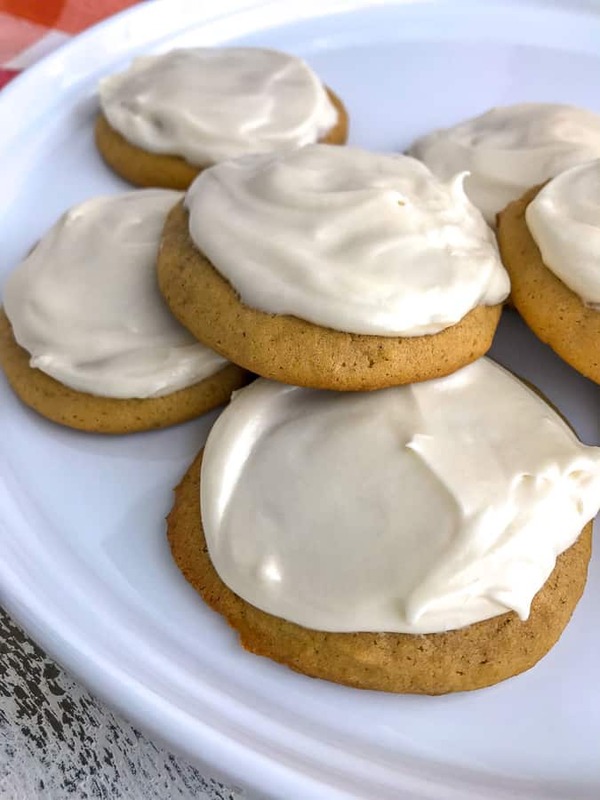 Allow the cookies to cool completely before icing, otherwise the frosting will melt and make them too difficult to spread. Keep frosted cookies refrigerated, it will help the frosting stay firm and not melt at room temperature. 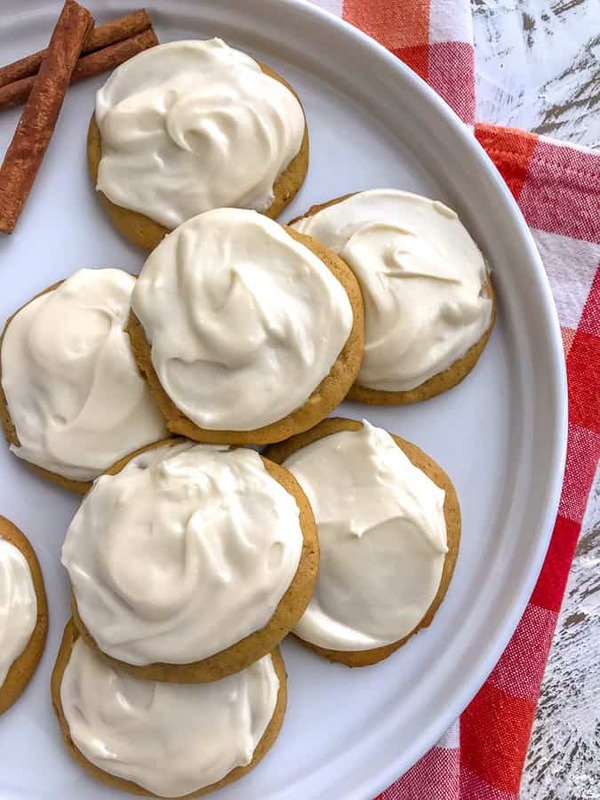 If you’re not a cream cheese fan, you can easily swap the frosting for chocolate chips, white chocolate chips, or caramel chips. Just sprinkle them over the top or add them to the batter prior to baking. Use parchment paper on baking sheets rather than spraying or coating them. 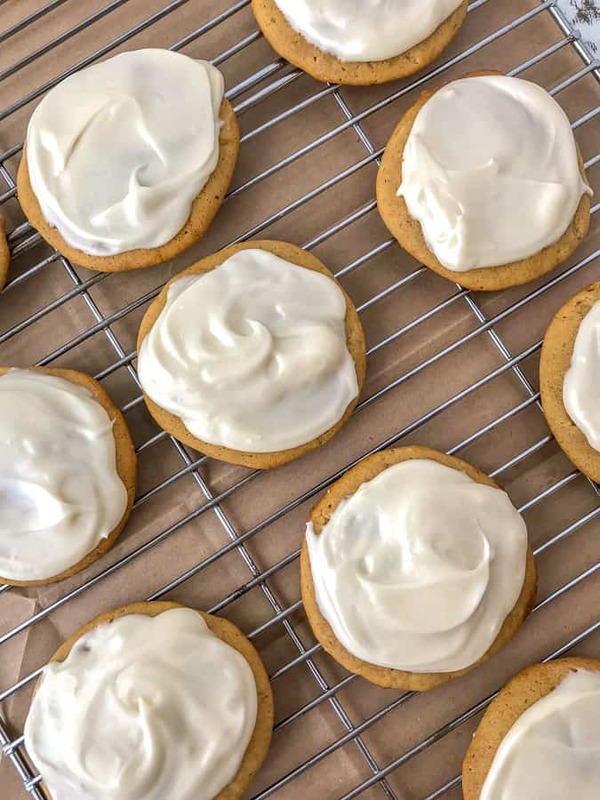 The batter to these cookies is like cake batter; it’s on the thinner side, rather than thick like traditional cookie dough, and you don’t want to cause them to spread while baking. Ice Cream Scoop with Trigger – this is very similar to the one that I have. Mine is technically a melon scooper, but in all honesty — they work the same! So if you have a cookie scoop, small ice cream scoop or a melon scooper, I recommend using that for how thin the batter is for these cookies. Wilton 2-Piece Perfect Results Non-stick Cookie Baking Sheets – I have had these for years and they are still like new. Reynolds Kitchen Cookie Baking Sheets/Parchment Paper – these are a bakers dream! I love how simple it is to pull the parchment sheet directly out of the box without having to measure or make sure you’re cutting the correct size. 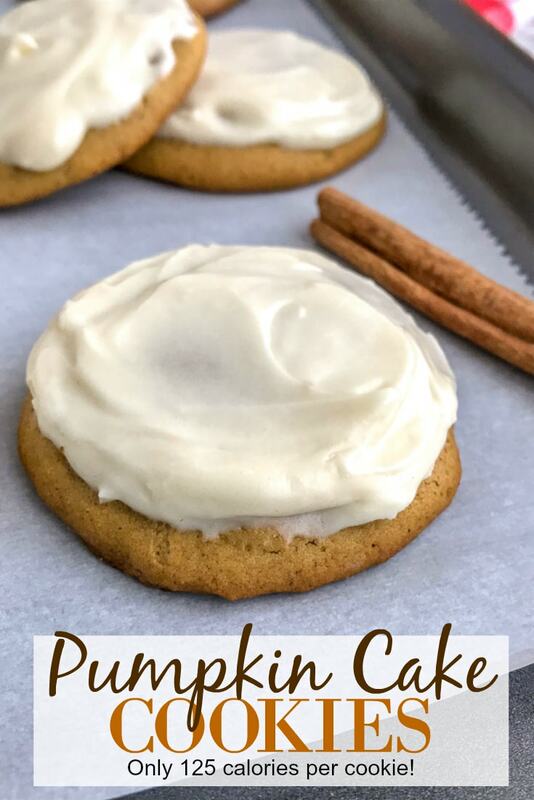 Pumpkin Cinnamon Rolls with Cream Cheese Frosting – Incredibly delicious version of the traditional cinnamon rolls! Soft, fluffy, warm, and gooey – just the way a cinnamon roll should be! Lemon Blueberry Yogurt Muffins – If you’re a fan of a tart blueberry muffin, then these are for you! They are very easy to make, lightened up, and make for the best breakfast muffins for those on-the-go mornings. Skinny Double Chocolate Walnut Brownies – Brownies, but without all the extra guilt! On the lighter side of things, easy to make, and an absolutely delicious way to kick those chocolate cravings! Chocolate Chip Banana Yogurt Muffins – One of the most popular and remade desserts on my blog. So fluffy, sweet, and amazing. Great for those sweet tooth moments, on-the-go, or over coffee! Honey Roasted Butternut Squash – An amazing side dish that will compliment your upcoming holiday table spread! Sweet yet savory and very easy to make! Easy Tender Instant Pot Turkey Breast – Just as I have named it – easy and tender turkey breast. Cooks from start to finish in approximately an hour! Garlic Parmesan Skillet Rolls – soft, fluffy and full of garlic-herb butter flavoring. Made with homemade bread dough and great for wiping your Thanksgiving or Christmas plate clean with! Creamy Mashed Sweet Potatoes – The easiest way to make mashed sweet potatoes! Comes together in 20 minutes or less and full of that brown sugar-cinnamon fall flavor! I mean, look how incredibly soft and decadent they are! One thing I will say – if you don’t feel like making pretty icing circles, you can certainly slather some icing between two of the cookies! Essentially you will be creating what’s known as a ‘whoopie pie’! 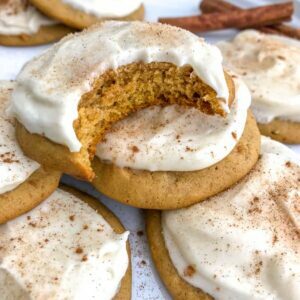 Soft, fluffy and incredibly decadent pumpkin cookies that are iced with a sweet cream cheese frosting. 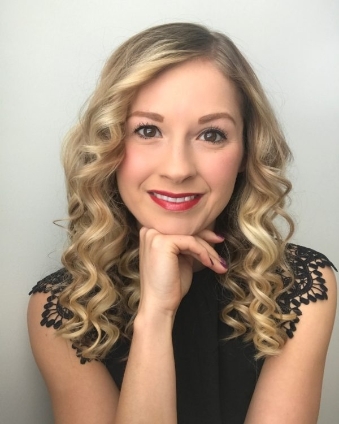 Quick, easy and guaranteed to wow a crowd! To a large mixing bowl or mixer, beat the butter with a handheld or counter mixer until it reaches a light, fluffy consistency. Add the brown sugar and granulated sugar, egg, vanilla extract, and pumpkin puree. Mix until thoroughly combined. To a separate mixing bowl, combine the flour, baking powder, baking soda, salt, and pumpkin pie spice. Slowly add the flour mixture to the wet ingredients 1/4-1/2 cup at a time. Mix until it reaches a cake batter consistency. Using a 2-tablespoon scoop (ice cream scoop, melon scooper, or cookie dough scoop), release the batter onto the baking sheets, making sure to keep each cookie 2 inches apart. Bake for 10-12 minutes, or until the tops are firm. Transfer the cookies to wire racks to cool before icing. While the first batch is baking, combine the ingredients for the frosting into a medium mixing bowl or stand mixer and beat until smooth. 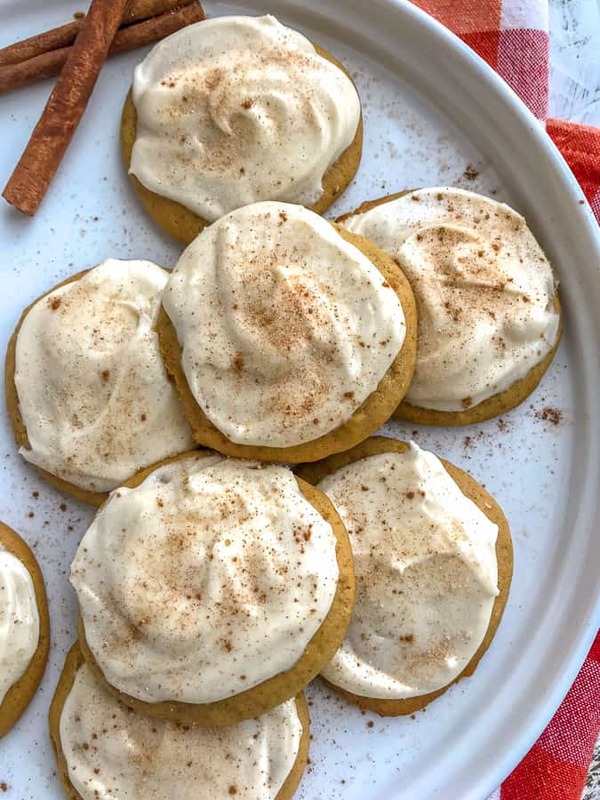 Spread frosting over each cookie and sprinkle with a cinnamon sugar mixture (optional). Store in an airtight container in the fridge. Powdered Sugar: My husband likes his frosting on the sweet side, so I used 1 1/2 cups of powdered sugar in the frosting. Taste test at 1 cup and adjust/add more, as needed, to suit your sweet tooth! Is there a way to recalculate nutrition facts for using fat free cream cheese And a lower fat butter?